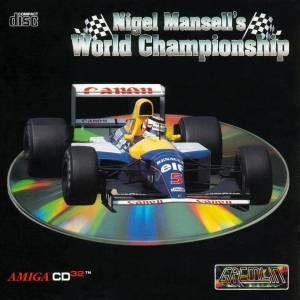 Home/Computers/Commodore CD32/Amiga CD32 Games/Nigel Mansell's World Championship. Hold onto your engines and pour on the coal as you hit the track with the greatest name in World Championship Racing, Nigel Mansell. You're in control. You've got the machine. But can you handle it? Try rough weather, a mean track and competition that won't quit. 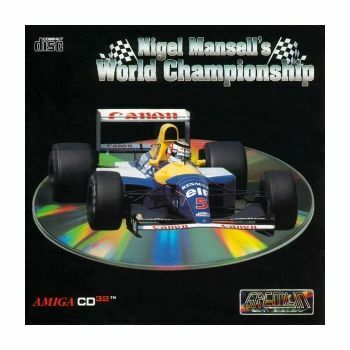 Or, go for one-on-one pointers from Mansell and have the track all to yourself while you practice the moves of a master. Then, check in for the big one. And don't forget your crash helmet! Manual included.